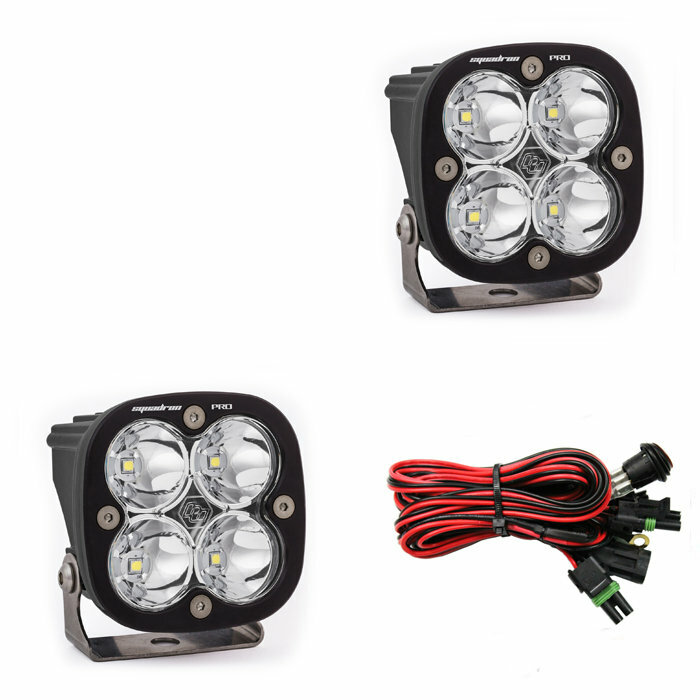 Light up the trails at night with a pair of Baja Design's Squadron Pro LED Spot Lights mounted to your Jeep. With a powerful 4,900 Lumens at 40 watts per light you will think it is daytime when you light up the trails at night. With a stylish black gloss aluminum housing these lights will look great wherever you choose to mount them on your Jeep. Auxiliary LED Lights:with 4,900 Lumens you will light up the trails at night making it a safer riding experience. Easily mount anywhere you would like on your Jeep (mounting brackets required) to see better when riding off road.